Sorry, it has been a long time since I've posted an update. 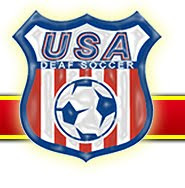 Been busy watching playoff baseball and the NFL, but now that the MLS playoffs are here, and baseball is over, it is time to focus on American Soccer, the only sport that really matters. MLS.com has posted the playoff brackets in a format familiar to fans of knockout tournaments everywhere. The San Jose Earthquakes won the Supporter's Shield with the league's best record. Led by probable league MVP Chris Wondolowski, the Quakes are the top team in the West. US Open Cup champion Sporting Kansas City has earned the top seed in the East. Both teams will face the winner of a one-game playoff between the #4 and #5 seeds, set for this Wednesday October 31 and Thursday November 1. First, the Chicago Fire hosts the Houston Dynamo on Halloween, live on ESPN2 at 9:00 pm Eastern. Sorry, I'll be helping my children collect candy at that time, but good luck to the Fire against Houston and their superb GK Tally Hall. The winner will get spanked in the quarterfinal round by Sporting KC in a two-game home-and-home playoff on November 4 and 7. Then on All Saints Day, the Vancouver Whitecaps visit the LA Galaxy, who will have Landon Donovan and David Beckham both back in action. The game is live at 10:30 pm Eastern on NBCSN, the channel that used to be called Versus and was called OLN (Outdoor Life Network) before that. Expect a good show, as NBC acquired the rights to broadcast the EPL in the USA starting in 2013, so they will increase their already high quality soccer coverage. Also expect the Galaxy to win by at least 3 goals. The winner will face the San Jose Earthquakes in a two-game home-and-home playoff, also November 4 and 7. The other quarterfinal matchups, already determined, in the East will be #2 DC United vs. #3 Red Bull NY, in a two-game aggregate match on November 3 and 7; and, in the West, #2 Real Salt Lake vs. #3 Seattle Sounders on November 2 and 8. If you have NBCSN, they are showing the first leg of two quarterfinal matchups: Real Salt Lake at Seattle on Friday, November 2 at 10:00 pm Eastern; DC United at Red Bull Arena on Saturday, November 3 at 8:00 pm Eastern; and then regular NBC will show Sporting KC in an away game against the Chicago/Houston winner at 3:30 pm Eastern on Sunday, November 4. Finally, NBCSN will also show the decisive second leg of RBNY at DC's RFK Stadium on Wednesday, November 7, at 8:00 pm Eastern. Note: the away goals rule is NOT in effect. If the teams are tied on aggregate at the end of the second leg, regardless of home or away goals, they will play two 15-minute overtime periods to break the tie before proceeding to a penalty kick shootout. This way, losing at home 3-2 is no worse than losing at home 1-0. Both will tie the match with a one-goal win on the road, no matter the score. And, if you want to know my pick, I could see a rematch of the US Open Cup final between Seattle and Kansas City taking place quite easily, with the brackets looking like they do.